Miracle: An extraordinary event manifesting divine intervention in human affairs. Welcome to Witnessing Miracles, the new name of our e-newsletter. You may remember it as Monday Ministry Moment. This is more than just a name change. We know you receive many wonderful Bible Studies in your inbox, written by Bible Scholars far more qualified than us. We want to give you something unique from this ministry, a glimpse into the miracles we witness as we bear witness to the Gospel across America. I will send this and post these stories on our blogs as they occur and the spirit leads so check your inbox to witness new surprise miracles. Read and stand in awe of the power and simplicity of the Gospel and the overwhelming love God has for us. Pray for the people you read about. Learn from our words, tools, and approaches. Join us in witnessing to the people in your paths and circles so you can witness miracles in person. Share your stories with us so we can share them with others. Forward this newsletter to anyone who would enjoy witnessing miracles or wants to learn more about sharing the Gospel. Ask us for help if you need it. Equipping you to share the Gospel is the cry of our hearts. May these miracles thrill you the way they thrill us. These stories are our gift to you. A strong muscular arm extended towards me. I looked up to see 4 large men wearing uniforms that identified them as New Orleans Grounds Keepers. 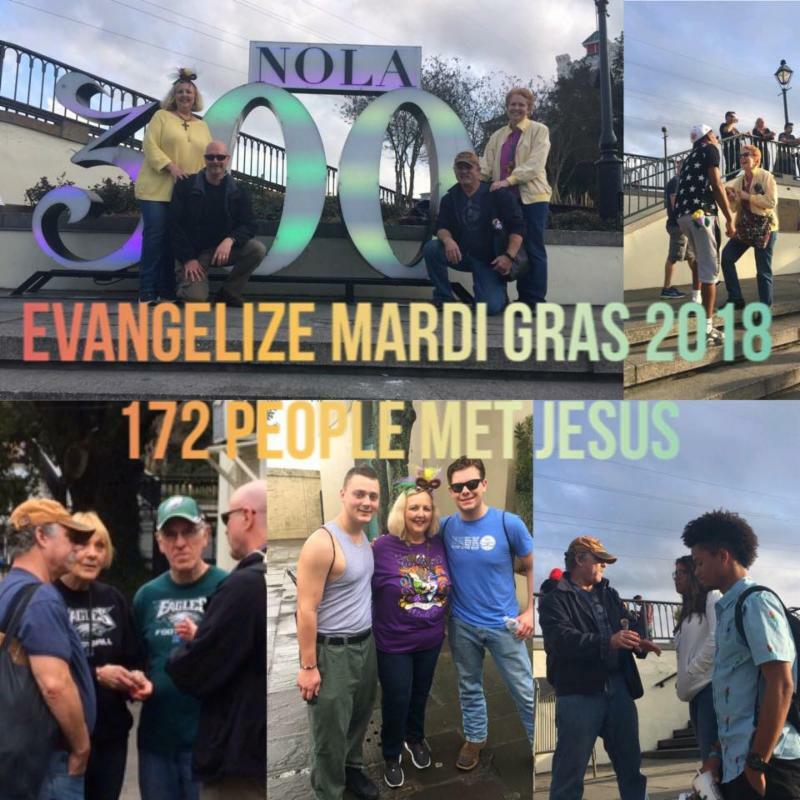 Our team of 4 were at Mardi Gras 2018 using handmade bracelets to share the Gospel. "Can we have one of your bracelets? We've been hearing you all day. We want one of our own." We'd been standing in the same place most of the day, shivering and giving the Gospel. I'd seen them cleaning earlier and had even thanked them and prayed for them. I had not offered them a bracelet because every time I saw them, they were busy working. "Of course!" I said. All 4 grinned and pulled up their jacket sleeves to make room for their bracelets. Gospel Team members rushed to help tie bracelets on. "I've watched you cleaning for us today. Thank you for coming over. Do I need to rush or do you have time for me to take my time explaining the meaning of the beads?" I asked. "Take your time," one of them encouraged. All nodded. Heaven: "The gold bead represents the amazing plans God has for you, plans to give you a hope and a future, plans to prosper you. Those plans include one day going to heaven. The bead is gold because the Bible says heaven is paved with streets of Gold. I'm not sure why we like to wear God's asphalt but we do." The men laughed. Sin: "The dark bead represents the darkness that comes into this world. The Bible calls it sin. Have you seen the groups of people walking around with the signs about sin?" "Yes! They love to shout at people in our city," one of the men answered while they all laughed. He continued philosophically, "I suppose there's plenty to shout at." "I'm so sorry you have to hear that. They sound mean and nothing about the Gospel is mean. If they yell at you, tell them that this minister lady you met on the street told you that we've all sinned and fallen short of the Glory of God, which probably includes them too." "That's a good answer," one of them said as they all laughed. Jesus: "The wages of sin is death, which is what those people like to scream about. Sin is the mistakes we make. It keeps us from everything good God wants for us, including heaven. The good news is that the gift of God is eternal life. The red bead represents the blood of Jesus that was shed for you and the heart represents that you are beloved by God. Jesus did not come into this world to condemn the world but that all the world would be saved." The Way: "The white bead is my favorite. All who call on the name of Jesus will be saved. The word saved means eternal life with God but it also means healed and restored here on earth. The bead is white because there is a verse in the Bible that promises that when we call on Jesus, He washes us white as snow. When we confess with our mouth and believe with our heart, we are forgiven of our sins. White snow is a metaphor for purity." Growth: "The green bead represents growth. Salvation begins on earth. After you call on Jesus, we grow through prayer, meditation, Bible Study, and church. Do you men go to church?" They looked at each other and began to squirm. I laughed. "The Bible does not say all who go to church will be saved. It says all who call on Jesus will be saved. Do you believe in Jesus?" All 4 nodded. "What about the next life? Do you know where you will go when you die?" Eternity: There was that squirming again. One of them said, "I hope heaven." The others nodded their agreement. "I hope you're going to heaven too. I'll get there before you. If God asks me, I'll put in a good word for you but I don't think He'll ask." The men laughed again. "If God were to ask why he should let you into heaven, what would you say?" The brave man who had first asked for a bracelet answered first. "I'd tell Him I'd tried to be good." "Is he good?" I asked the others. They laughed, hesitated, and made hand motions that indicated it was marginal. "Don't take them to vouch for you," I teased. They all laughed again. "What about the rest of you?" All were trying to be good enough but none were sure they were. "I want you to be good," I said. "So does God but none of us are good enough to get into heaven. The reason you hesitated is that you were probably remembering sins you had committed." They agreed completely and made a few self conscious jokes about sinning. Like most people I meet, they knew they were sinners and not worthy of heaven. The Invitation: "God does not have a point system that says you have 5 points and your buddy here has 10 points so he gets in but you don't." They laughed. "The Bible says good works do not get us into heaven. God does have a book that has a list. It's called the Lamb's Book of Life. That book has the names of people who called on Jesus for salvation and accepted His free grace. I'd love to lead you in a prayer calling on Jesus. Would you let me?" They enthusiastically nodded. I was surprised when they formed a circle and held hands. The man's hand next to me trembled. I prayed and they slowly repeated the words after me. 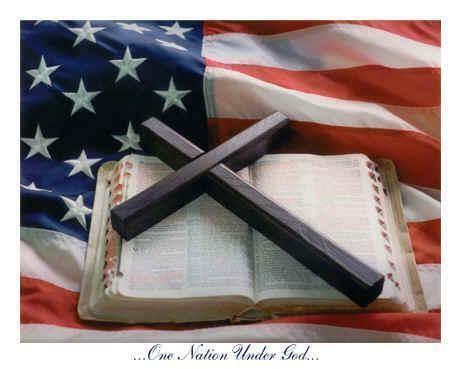 Prayer: "Dear God, I believe that your son Jesus died on a cross for me and rose from the dead. Help me with any part of me that doesn't believe. I confess that I've made mistakes and ask for your forgiveness. I invite Jesus into my life to be my personal Lord and Savior. Thank you for my salvation. In Jesus' name, Amen." They looked up smiling broadly. There it was - what I call the Holy Spirit Glow. A couple even had tears in their eyes. "All of heaven is throwing a party because of what you just did! An angel party is way better than a Mardi Gras Party. Let me ask my question again. Where will you go when you die?" "Heaven," they all said enthusiastically. As promised in the Bible, the Holy Spirit testified to them about their salvation. I gave out materials for suggestions about what to do next and mentioned a local church. I thought we were done but we God had more miracles waiting for us to witness. A few minutes later, Gospel Team Member Doug Tubbs was walking when he saw the man who had first stuck his arm out for a bracelet motioning Doug to come over. Doug went to where this man was standing with a friend. "Tell him about what you just told me!" the new Christian encouraged. 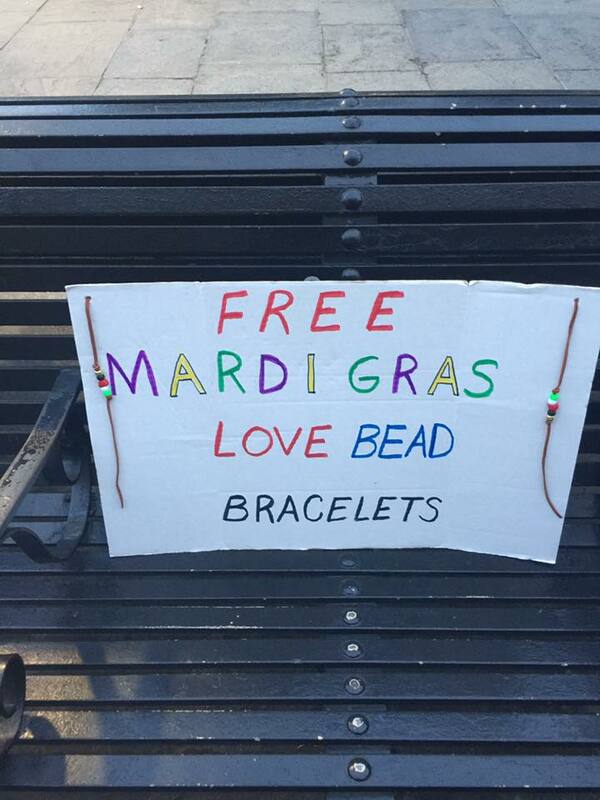 "Give him a bracelet." Doug gave him a bracelet and within minutes, the 5th grounds keeper invited Jesus to be His Lord and Savior. "Let me know if you have any other friends," Doug said. "As a matter of fact we do." They pointed out another friend and everyone walked over to him. Can you guess what happened next? Yes, a 6th grounds keeper called on Jesus for salvation. A few minutes later a big burly security guard who I'd seen with the rest of the men walked over. 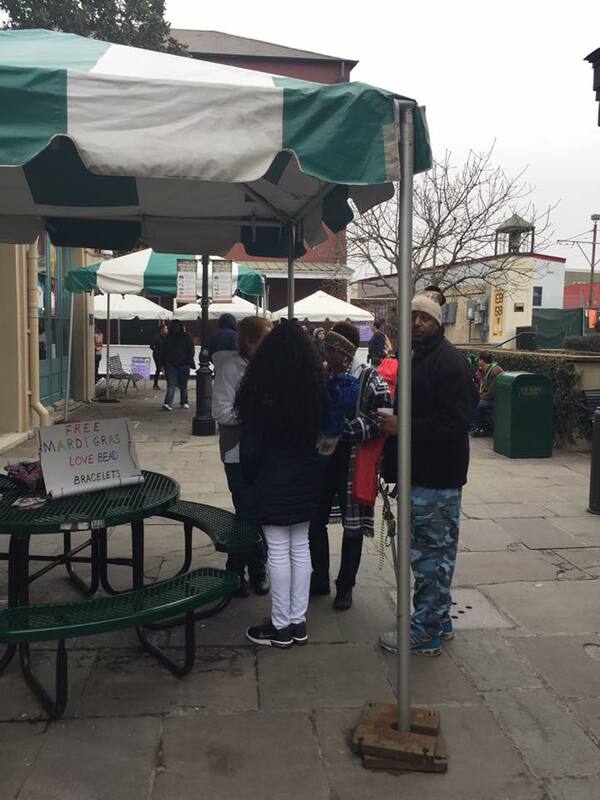 I worried for a moment he was going to tell me to take our sign down but he asked for a bracelet, and called on Jesus to be saved. Those 7 men greeted us with smiles every time with saw them later that day. Think about the miracles we witnessed. These men heard us giving the Gospel and were drawn to it. Four large muscular men were willing for us to tie bracelets on them. They held hands as they prayed. A couple even had tears. They left that day with their eternity secure. They encouraged 3 more people to meet Jesus. When does something so personal happen with men who had just moments before been boisterously teasing one another? I'll answer that for you. When they hear the Good News of the Gospel. You know it's God when you can't keep up. For 4 days, we witnessed those kinds of miracles. People flocked to us, waited in line to talk with us, met Jesus, and brought friends and family back to hear the message. 172 people prayed to ask Jesus to be their Lord and Savior in just 4 days. Many more heard the Gospel but said no. Pray for those who said yes and no, but we aren't worried about those who said no. The word of God continues to work on hearts long after we leave. The thumbs up for giving the Gospel is speaking the scriptures, which our team does. The people we speak with have free will so the response to the Gospel is up to them. Our only job is to find out if people know Jesus, speak the Gospel Scriptures, and invite them into a saving relationship with Jesus. The miracle is in how the Holy Spirit uses those Gospel scripture to convict hearts. The amazing thing about witnessing miracles is that we get to watch those miracles multiply before our eyes.